What is the reviews app and what can I do with it? 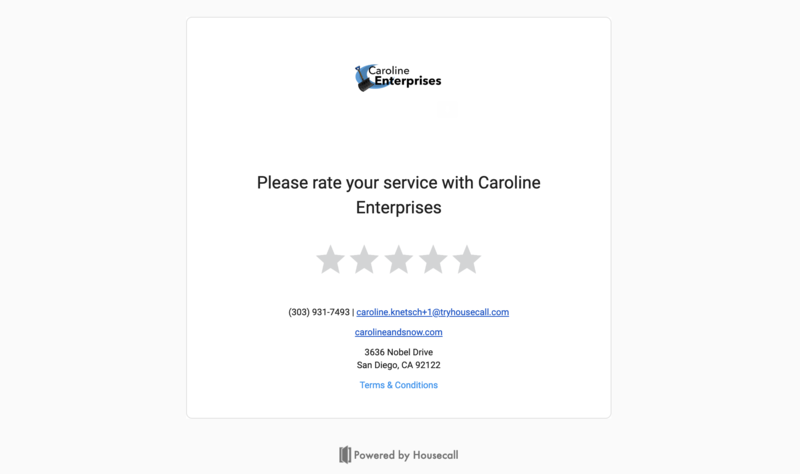 When the Reviews app is enabled, an email and text message will be automatically sent to your customer asking for a review. This is a great way to improve your service and develop testimonials. You can turn on the Reviews app from the app store. Once you've enabled Reviews, access the app page by clicking 'My Apps' from the top navigation bar. From the app page, you can hit the gear in the upper right hand corner to access the settings. 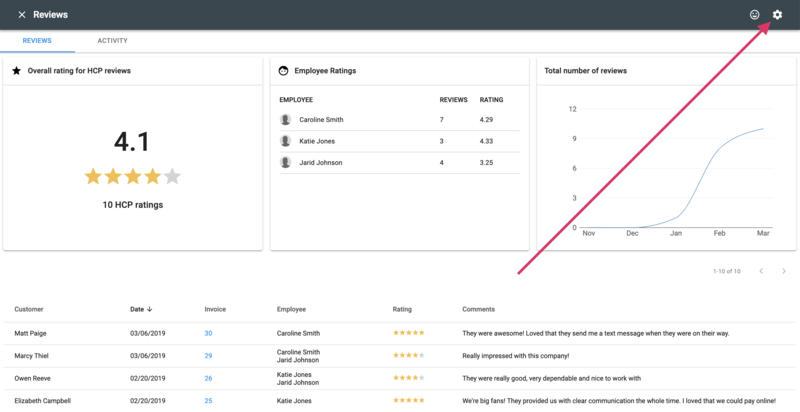 On the settings panel, you can exclude customers from receiving a request for a review based on either customer or job tags as well as have the system send review requests to customers with notifications off. 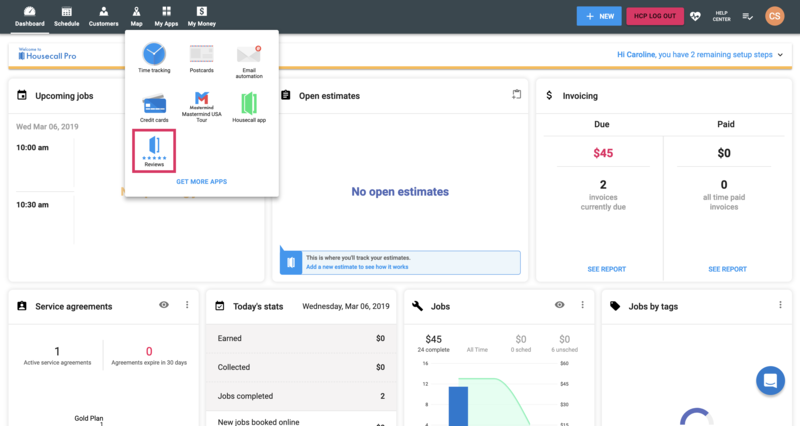 You can also hook up your Google My Business account from there. When will the email and text be sent out? The email and text will send when the job is marked as finished. How can I see that the email and text were sent out? The activity feed on the job will show when the email and text were sent out. If I have more than one employee on a job, who does that review count for? 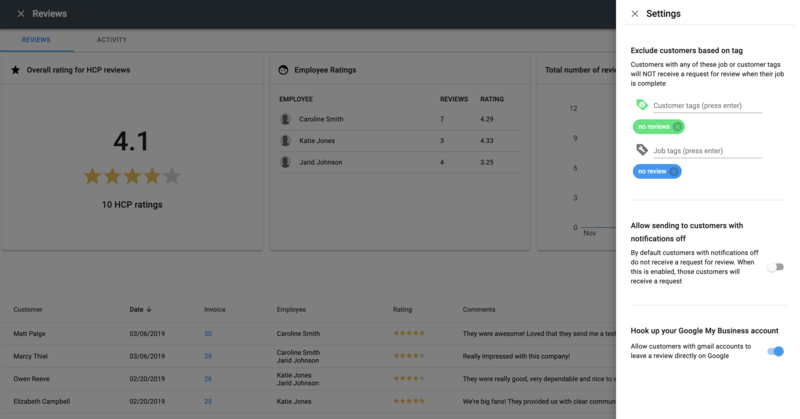 On the employee ratings table, you can see the number of reviews and average rating by employee. If more than one employee is listed on a job, that review will count towards all of those employees total number of reviews and average rating. What do the email and text message look like? Having a hard time figuring out how to ask for reviews? Let us show you how.